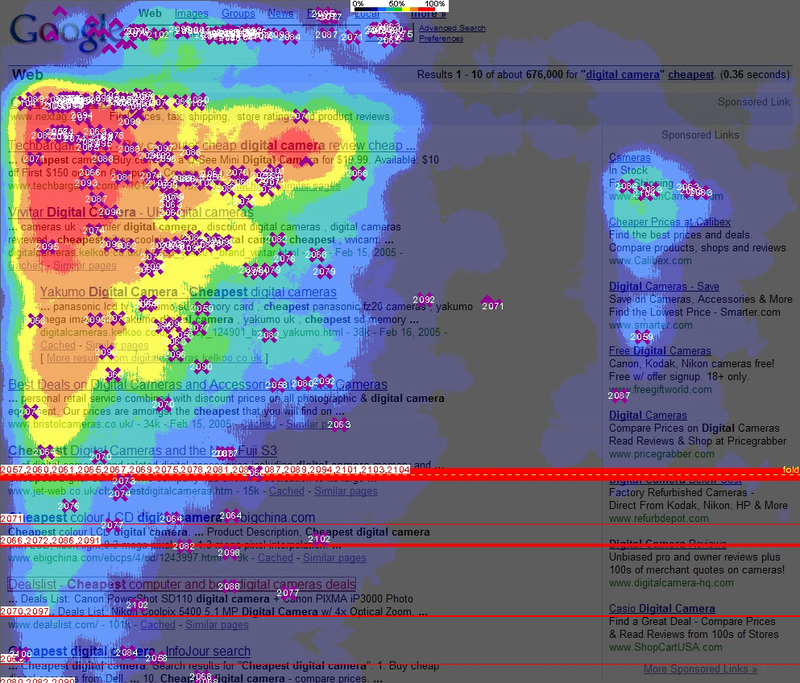 Seth Godin has a nice post where he has illustrated the “hot spots” where people focus when they are looking at googles search results.. The same can be concluded for regular pages.. Here is the image depicts the result of this study. The key location on Google for visibility as determined by the eye activity in the study is a triangle that extends from the top of the results over to the top of the first result, then down to a point on the left side at the bottom of the above the fold visible results. This key area was looked at by 100 percent of the participants. In the study, this was referred to as the “Golden Triangle”. Placement of adsense ads in the same location in sites built using Niche Portal Builder that have a CTR of 15% upwards proves that this works.. Previous post: First Google’s Autolinks, Now Cloaking.. whats next?? Next post: A Back Road Loophole For Getting into Google?